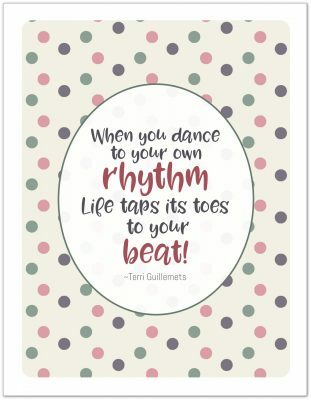 Welcome to Day 1 of the 31 Days 31 Printables series. I am so excited for this series. I couldn’t wait to jump in and get started. Choosing a printable to start with was no easy feat. I’ve been keeping two different lists, one with requests from you guys and one with my own ideas for tweaks and updates, and I stared and stared at them trying to figure out which one should come first. In the end, I decided to follow my heart, and ok, my own schedule, and kick this series off with a Seasonal Cleaning Checklist … or three. 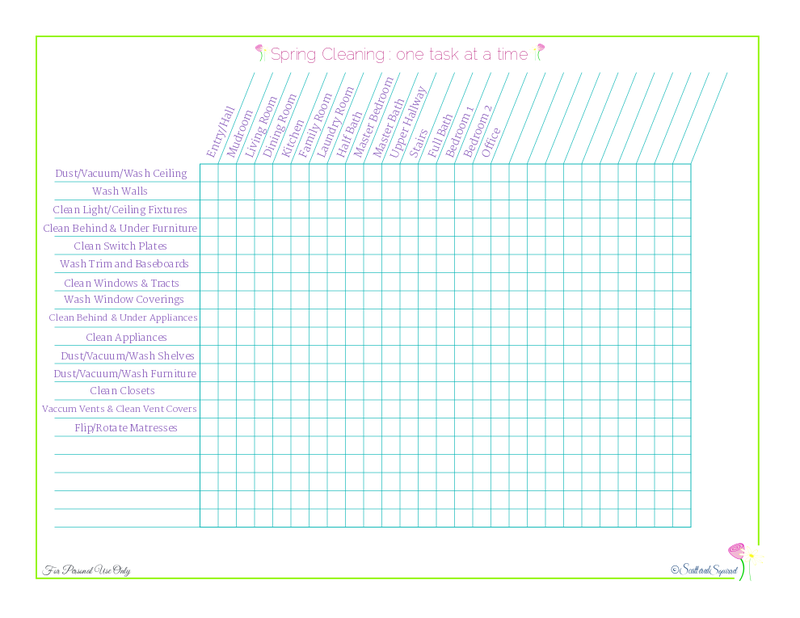 Back in 2013 I created and shared three different Spring Cleaning checklists. 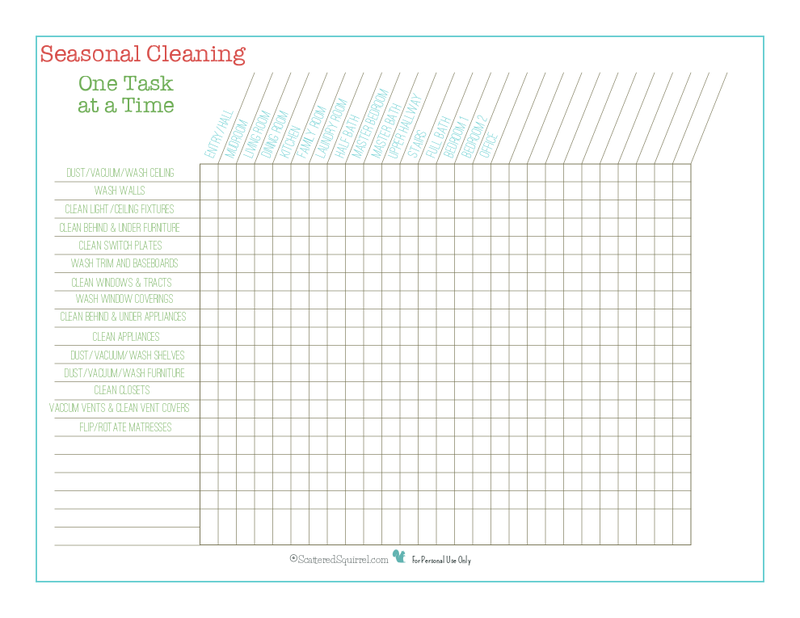 The most popular of those lists is the One Task a Day printable. To be honest, it’s my favourite of the bunch too. Over the years I’ve received a few requests for changes to this one, the most frequent being a blank version. This checklist also made my own list, as I’ve been itching to make an autumn version, or better yet, one that could work for autumn and spring. Ready to see what I ended up with? The first printable is simply an updated version of the old one. As you can see below, I changed up the fonts and colours but for the most part left the layout the same. If this printable was a house, I would say it has good bones. I didn’t feel like a complete change in the layout was really needed. I did change the name. I know it’s not really crucial to the functionality of the printable, but I felt this revision needed a new name. Many of the requests for tweaks or changes centered on the task list. 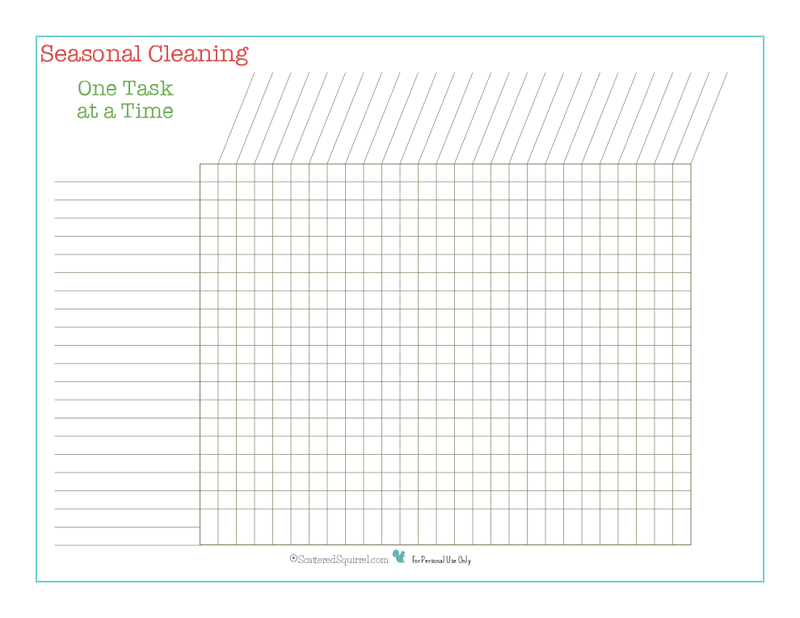 Many of you asked if it was possible to get one with a blank task list. So that was exactly what I did with this next version. And finally, I opted to make one that is completely blank. You can fill it in and customize it anyway that works for you. As you can see, there weren’t any major changes, but I’m really happy with how these turned out. I hope you find a version that you like and that will work best for you. And for those of you who liked the original just fine, don’t worry, it’s not going anywhere. So, tell me true, what do you think? Don’t miss out on the fun! To get posts delivered right to inbox head on over to the side bar and subscribe by email. Check out more 31 Days series over on the 31 Days site. The links start going live tonight at 8pm. 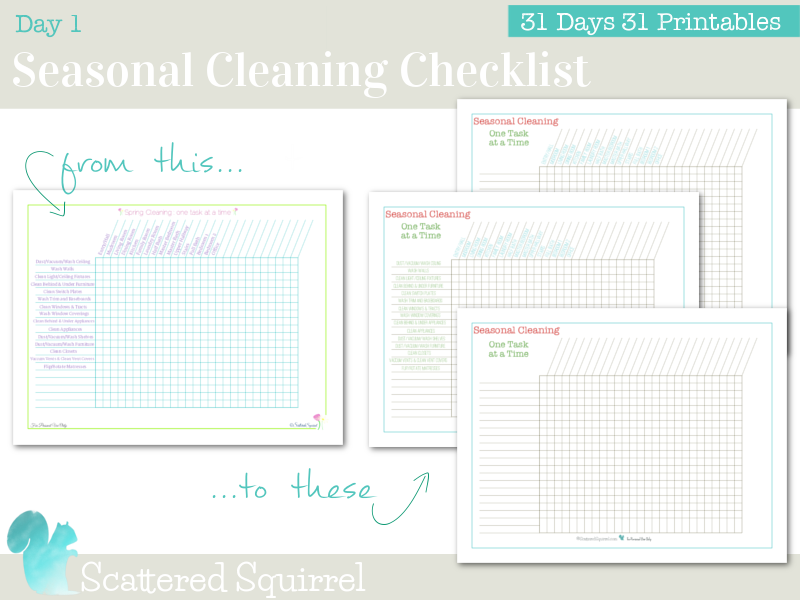 Previous Post: « Welcome to 31 Days 31 Printables! These planners are wonderful! Have you considered a high contrast version for hose of us who are visually iimpared? I will be sticking to this website like glue. Thank you for your good works. Love it! Is this available in half size? Hi Beth, it sure is. You can find the link to the post on the Home and Life Page. I believe the title of the post is Seasonal Home Maintenance Checklists. I hope that helps. Is there a way to print this for an A5 or half letter size? Yes there is. 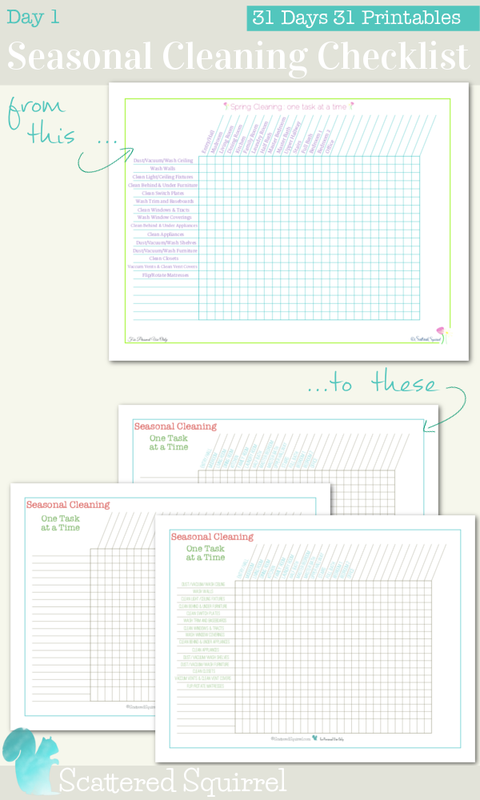 If you head up to the top menu bar and click on the Free Printables Index tab you’ll find the half-size version there in the cleaning section.